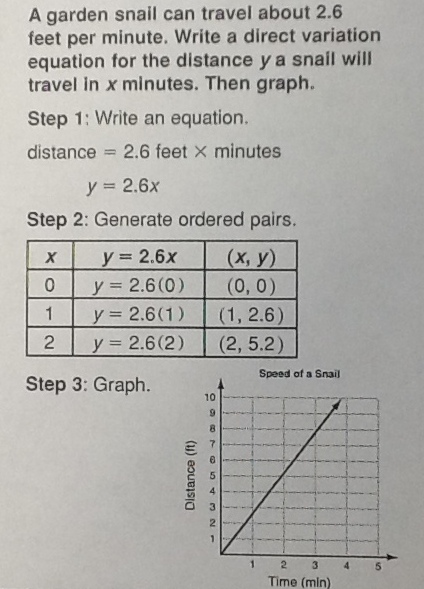 An example from our text had us scratching our heads… not about the concept of direct variation, but rather… about how fast a snail can actually travel. When we encountered this problem, and took a look at our square-foot floor tiles in the classroom, we wondered… was this direct variation accurate? Was this a racing garden snail, by chance? The speed seemed a little fast for a snail! 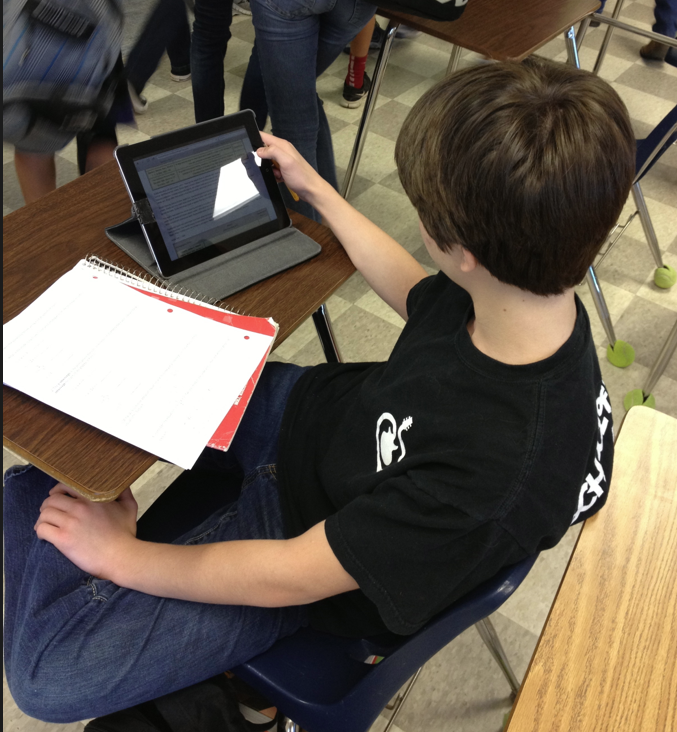 One student took it upon himself to start researching right away. He opened up his iPad, went online, and found the following information regarding the speeds of snails. No spoiler here – I am asking for student evidence on this one. This entry was posted in Algebra 1, Pre-Algebra and tagged iPad, problem solving, text book. Bookmark the permalink. 5 Responses to Using the iPad to Test the Textbook: Snail Racing…? And an extension to the extension, compliments of Twitter, and a Storify by Julie Reulbach!